Coorg is the most popular Hill Station in Karnataka State. With lush green forests, Coffee Plantations,paddy fields, sloping glades, waterfalls and many unseen beautities, Coorg is situated at an altitude of 1525 meters above sea level. The area is based on the plateaus of Western Ghats. The entire region of Coorg is at an average altitude of 3000 to 5500 ft. The highest peak is Thadiyanda Mol with an height of 5729 ft.
Coorg receives rainfall from Jun to September. The abundant rainfall in this region has made Coorg an ideally green exception in the state of Karnataka. The wet terrains of Kodagu are helpful for paddy and mainly Coffee plantation and Coorg is also known as India's Coffee Land. Founded by the British, Coorg possesses some of the oldest Coffee Estates of India. A drive in and around Coorg reveals beautiful green Coffee plantations in wet slopes, Paddy plantations, Moisturous, Decidous Forest slopes with Canopy of trees within, shallow valleys, Huge Trees like Rosewood and Teak, Bamboo Bushes, Indian Laburnan and many other species. Tadiandamol, Brahmagiri and Pushpagiri peaks in Coorg are the main peaks alongwith its forest cover which embraces the beauty of Coorg. Coorg can be visited during all the times in a Year, The chilling Winter alongwith pleasantly cold felt Summers and even the wet Monsson is also enjoyable in Coorg. The abvoe three Wildlife Sanctuaries and Nagarhole National Park surrounds Coorg. The Wayanad National Park of Kerala also falls enroute Nagarhole NP. It is evident that Coorg has a very ecologically balanced boundaries which encourages wild life and is home to many big names like the Royal Bengal Tiger, Leopard, Indian Elephant etc. Some of the special species which can mainly be seen in and around Coorg are Malabar Trogan, Malabar Pied Hornbill and the Malabar Giant Squirrels. The Yellow Browed Bulbul, Pacific Swallow, Grasshopper Warbler, Orphean Warbler and the Yellow Billed Babble alongwith the Trogansr can all be seen in Coorg. Many species of owls can be found here. The Short Eared and Oriental Scops Owl can be often seen after nightfall. 25 % of all the species found in India are believed to be found in Coorg. Madikeri and Viarajpet are the main places where tourists prefer to stay. A prince from the Haleri dynasty, Muddu Raja founded Madikeri in 1681 under the original name Muddu Rajakeri, which became Madikeri. Madikeri is officially know as Mercara. Built by Dodda Viraraja in 1792, once belonged to the Hindu king Langaraja,the place contains some very good paintings and high level work of architecture. Built of brick and mortar, the historical Madikeri Fort had witnessed several battles and is evidence to many historical events.. In 1790, Doddavira Rajendra took control of the fort. The palace was renovated by Lingarajendra Wodeyar II in 1812-1814. Probably the most known tourist sightings in Coorg, the Abbey Falls offers a breathtaking waterfall where the Kaveri river falls down a rockface from a height of 70 feet.The falls can be reached by a narrow road from Madikeri. Cars can reach the entrance of these falls from where a downhill walk of 500 metres takes one to the waterfalls. The Seat of the King or Raja's Seat, is located at the western end of Madikeri and offers a great views of the hills and the valley below. According to legend, the kings of Kodagu spent the evenings here and also used this pavilion for relaxing from the tiring royal duties.The sunset from this place is unfortteble. This beautiful hilltop offers magnificent view of the Coorg Valley. Elephant Training Camp at Dubare, Tadiyendamol at Kakkabe, Nisargadhama at Dubare, Iruppu Waterfalls, Pushpagiri Wildlife Sanctuary, Omkareshwara Temple at Madikeri , Bhagamandala, Madikeri atIgguthappa Temple at Kakkabe, Tibetan Settlement of Bylakuppe at Kushalnagar are the other main attractions. Hotel Coorg Regency is unique in its own class and provides a peaceful serene ambience surrounded by beautiful hills and dales of Madikeri. 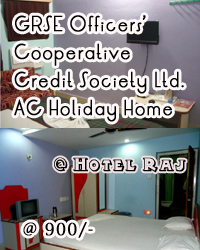 Hotel Coorg Regency, Madikeri is a budget hotel with spacious rooms. The rooms have partial view of the Western Ghats and Madikeri town. The hotel is centrally located near General Thimmaiah Circle on Mysore Road and easily accessible from Bus stand. It is conveniently situated within the city, away from all the hustle and bustle of the town. It has about 30 rooms with attached bathrooms with European model. The hotel has a restaurant serving Indian and Chinese cuisines. Other facilities include room service, spices shop and travel assistance. Its salient features include television, standby power supply, round the-clock-hot water supply, customer care, doctor-on-call, parking and laundry service etc. There is a well furnished “COORG SAHARA” family restaurant that provides Chinese, Muhgalai, South Indian and Continental cuisine that will provide a delectable eating experience on the serene hills of Madikeri. The travel assistants at the hotel counter helps you to plan your holidays and also arrange vehicle for local sightseeing.